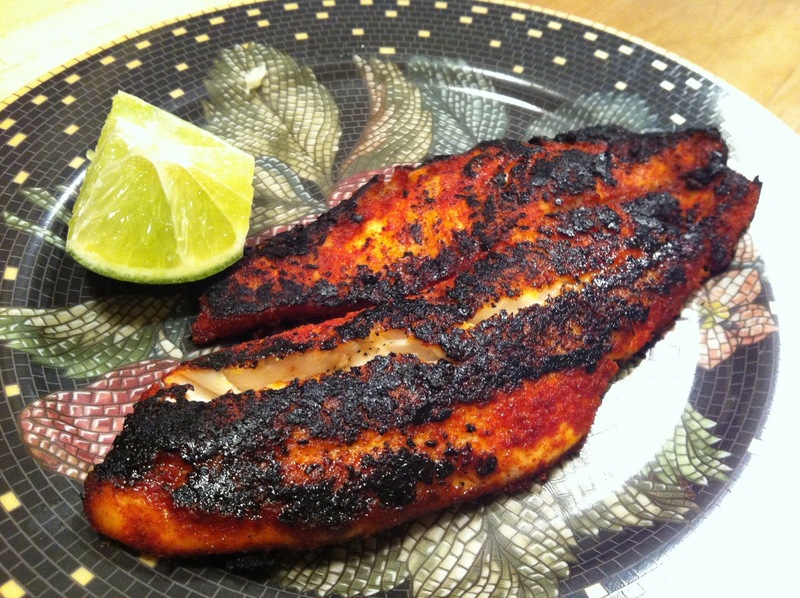 There are a lot of ways you can go with this blackened tilapia depending on your mood, Mexican, Indian, Asian, Cajun, or in this case, Spanish. I love the El Rey de la Vera brand of both sweet and hot smoked paprika, it’s the real deal. And if you can buy it in East Warren, Vermont, I'm sure you can find it all over. You may have to adjust for the amount of fish you’re preparing but one teaspoon of salt, a half teaspoon of hot, and two teaspoons of sweet paprika should take care of the family dinner. If you don’t like your food spicy just go heavier with the sweet. Spread the spice mixture evenly over both sides of your fillets and when your heaviest Teflon pan is super hot cook the fillets approximately five minutes on each side. They should be good and black and cooked through. There are no rules for this one so have fun playing around with your spices. For Mexican try some cumin and chili powder. Break out the Garam Masala for an Indian twist, or the Five Spice Powder for something Asian…all with salt. Blackening isn’t just a Cajun thing.